What Is a Hard Cervical Collar? A hard cervical collar is designed to protect the uppermost portion of the spine. A cervical collar will immobilize and support the cervical spine and neck. 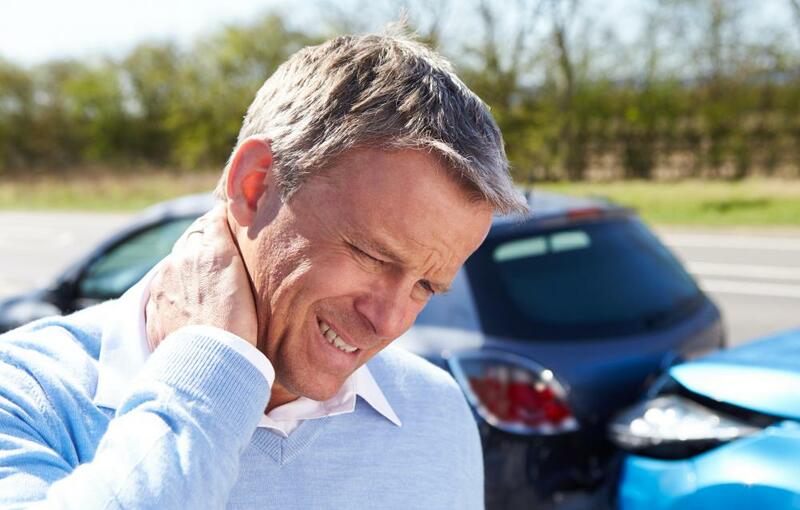 A hard cervical collar is sometimes recommended to treat severe whiplash after an accident. A hard cervical collar is a type of brace used to immobilize and provide support for the cervical spine, or neck. This type of cervical collar is usually used to immobilize trauma patients who may have spinal injuries, but it can also be used to prevent pain after a neck injury or surgery. This device can also be used to prevent certain sports injuries. Hard neck braces are generally much more uncomfortable than soft neck braces. They can irritate the skin, especially when a person is sweating. Cervical collars are also often referred to as neck braces. These braces can be made from soft or rigid materials. A hard cervical collar is made from rigid plastic. It is usually made from two pieces of molded plastic that are placed around the neck and secured with either Velcro® straps or metal clips. For added comfort, these types of neck braces also have thick padding on the insides. Usually, a hard cervical collar will rest on the shoulders. It will also typically have a contoured area to rest the chin on. This setup allows the head to be supported, taking some of the strain off of the neck. It also makes it very difficult for a wearer to move his head and neck. Emergency medical technicians commonly use these orthopedic devices. A hard cervical neck brace is often strapped onto a patient who may have spinal injuries. This helps prevent further injury. A doctor may also advice a patient who has a cervical spine injury to wear a hard cervical collar. 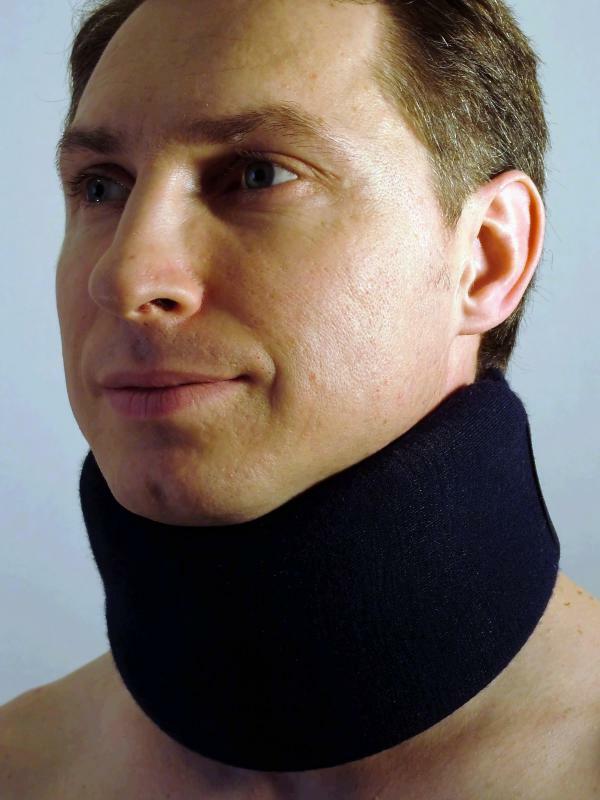 Patients with severe whiplash, for instance, often wear these types of collars to help prevent neck pain. Some surgeons also recommend the use of these collars after cervical spine surgery. Uses of cervical collars, however, do not stop with the medical field. They are sometimes worn during intense sporting events to help support and immobilize the neck and prevent neck injuries. A dirt bike racer, for example, is often at risk of suffering from whiplash, and a hard cervical collar may be worn to help prevent this. An average person will often find that wearing a hard cervical collar is very uncomfortable. Wearing a neck brace such as this can often be very warm, which can cause a person to sweat more. This can cause severe skin irritation, especially when combined with the constant friction of the brace rubbing on the skin. Patients who wear these are often advised to thoroughly wash and dry their necks and cervical collar pads every day to prevent skin irritation. What Is a Soft Cervical Collar? 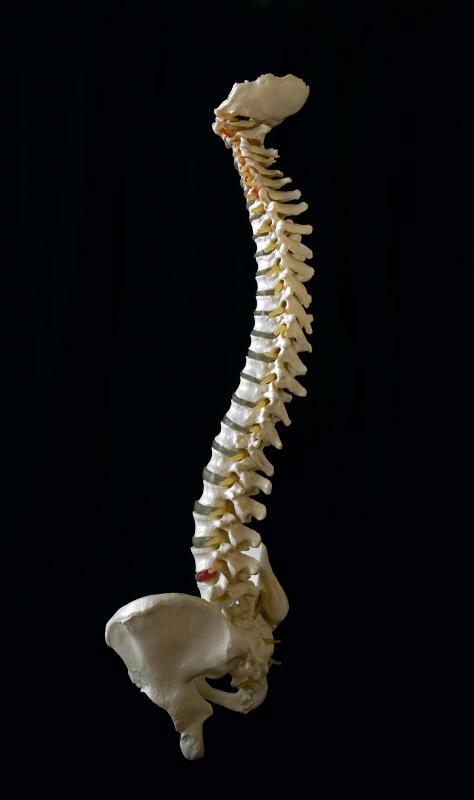 What is a Discectomy with Fusion? How do I Choose the Best Neck Brace? What is a Spinal Brace? What is a Neck Collar? What is the Brachial Nerve?